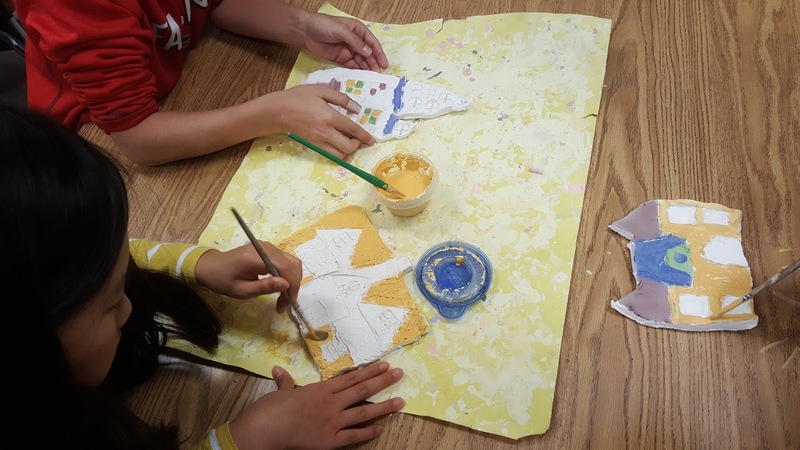 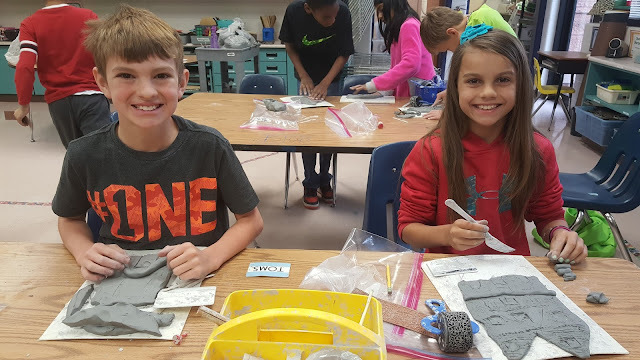 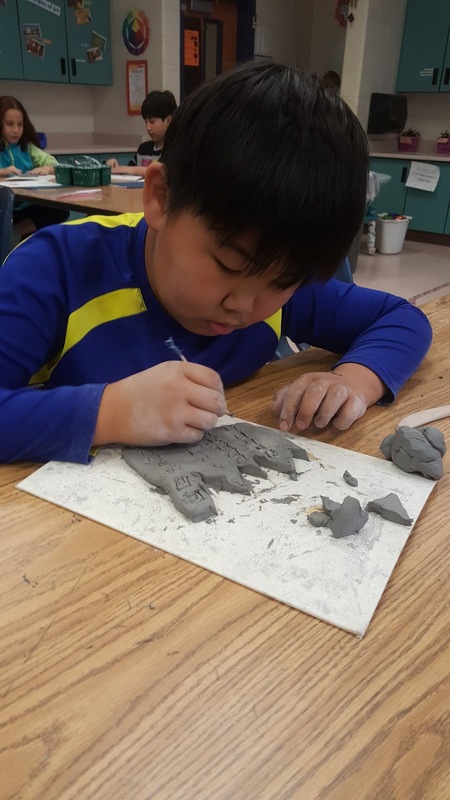 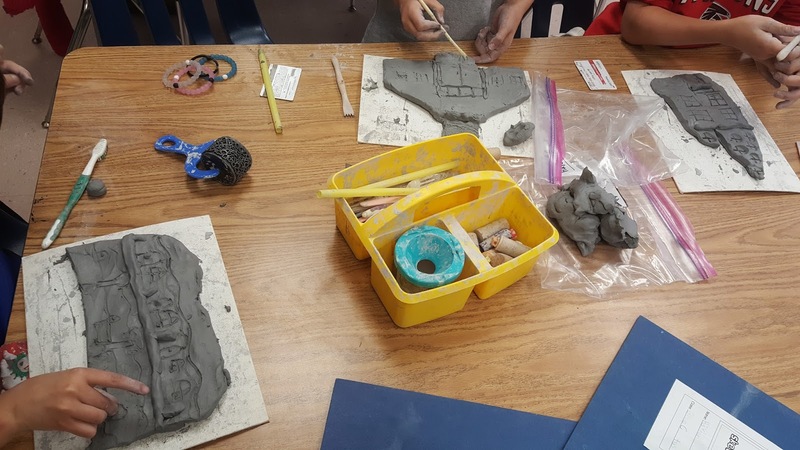 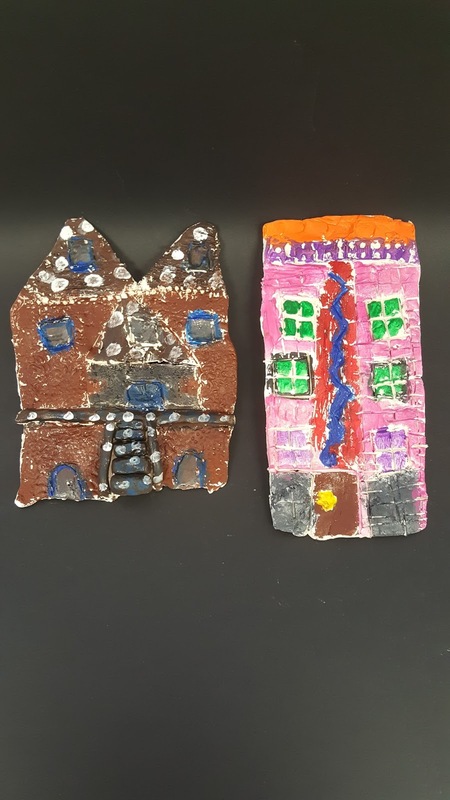 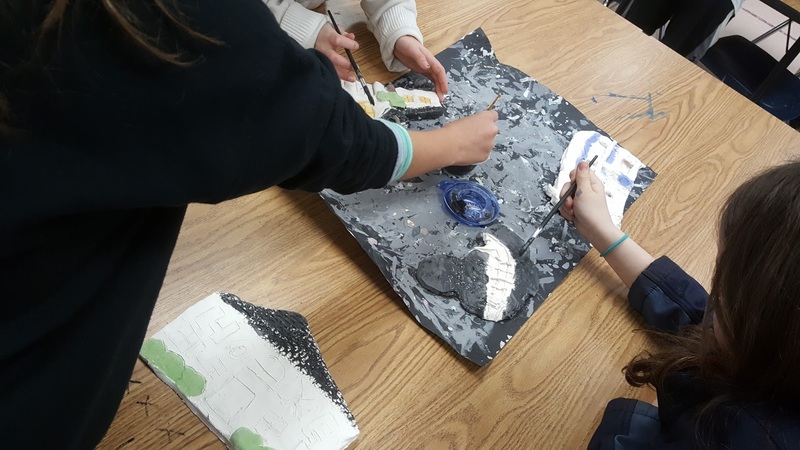 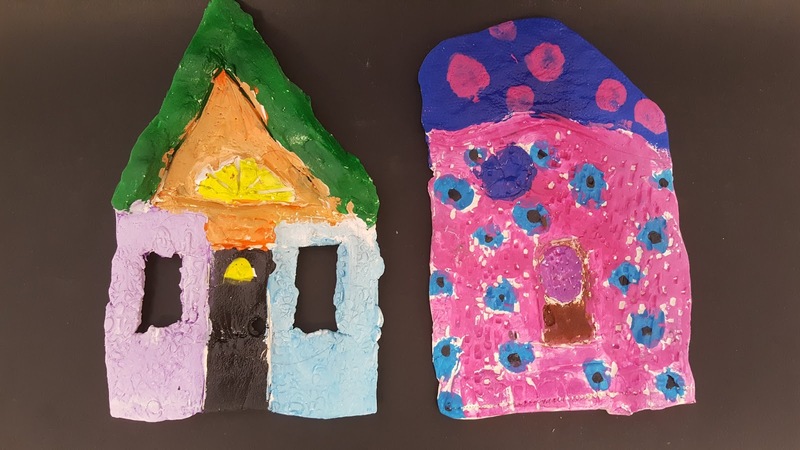 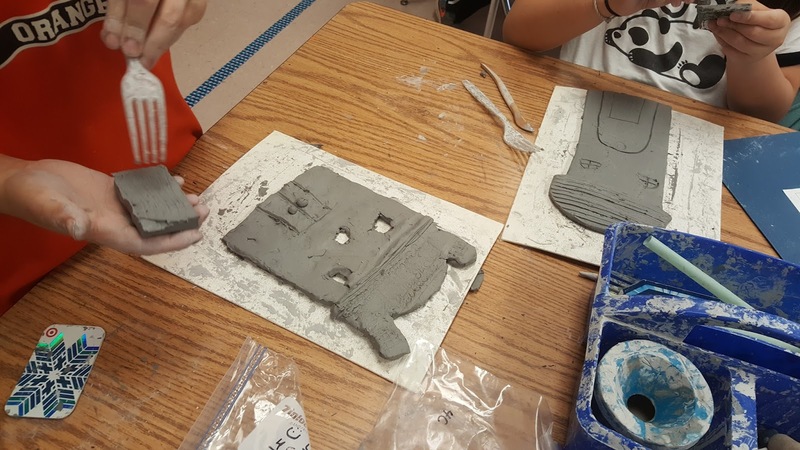 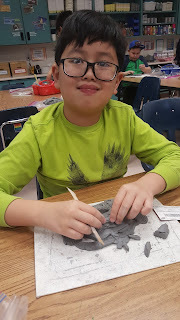 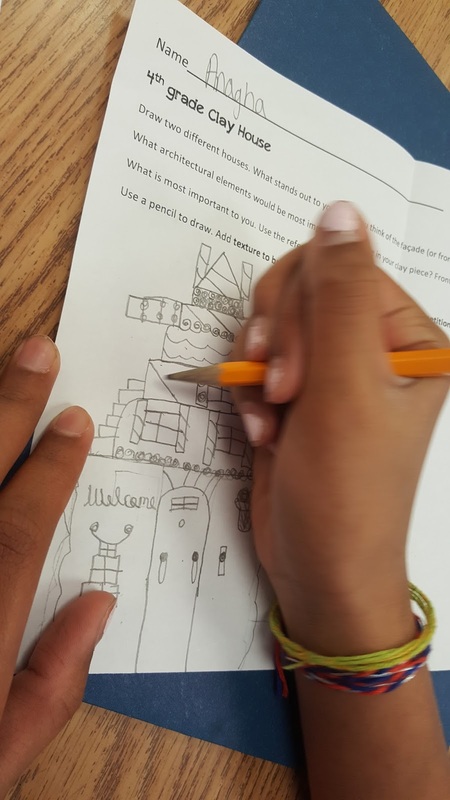 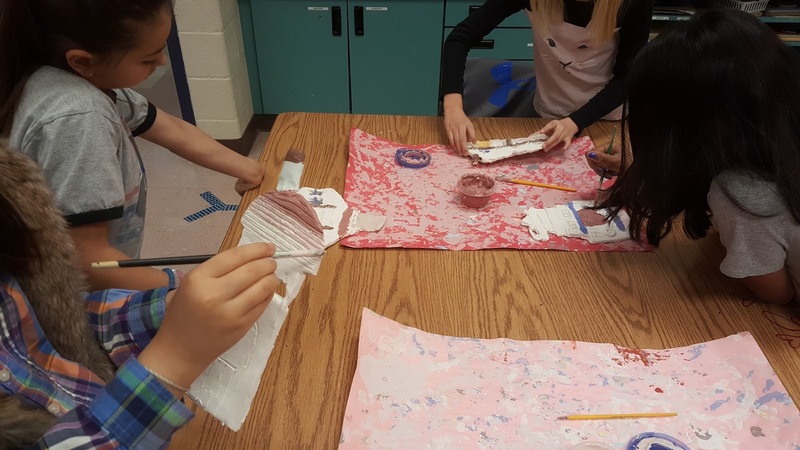 The fourth graders create clay facades this year. 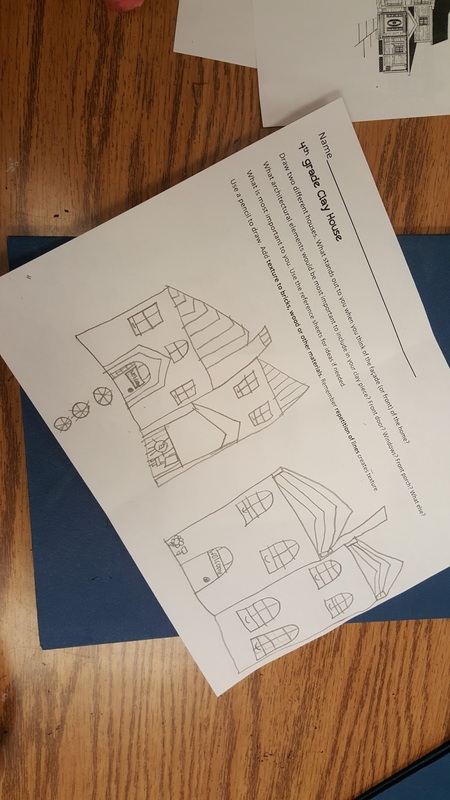 We looked at and discussed lots of different types of architecture. 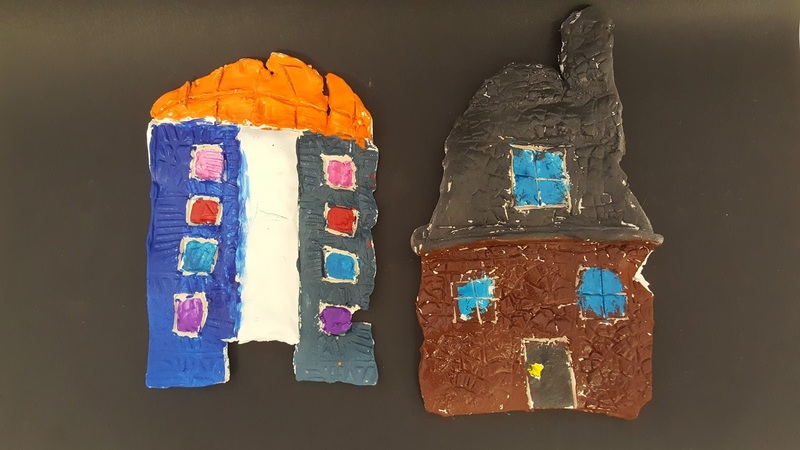 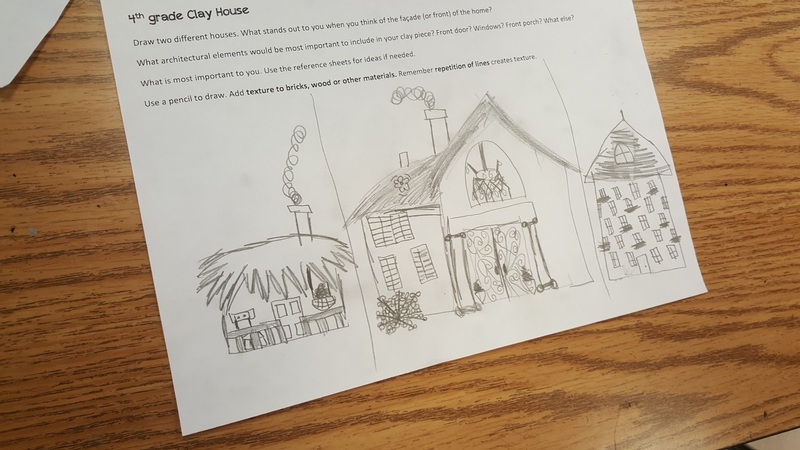 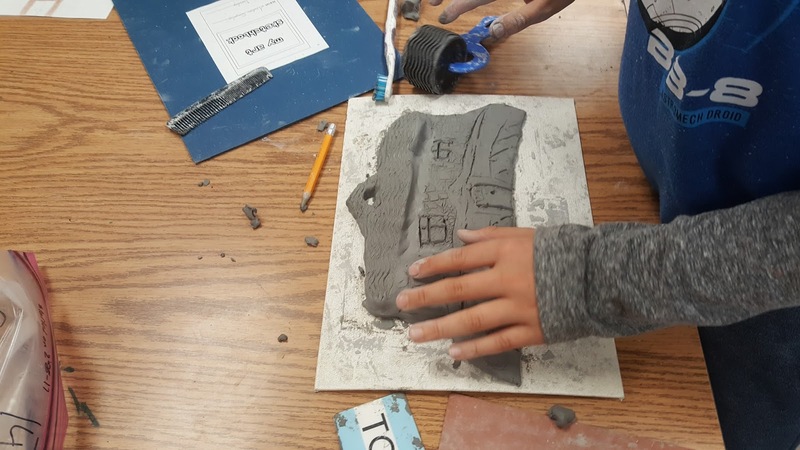 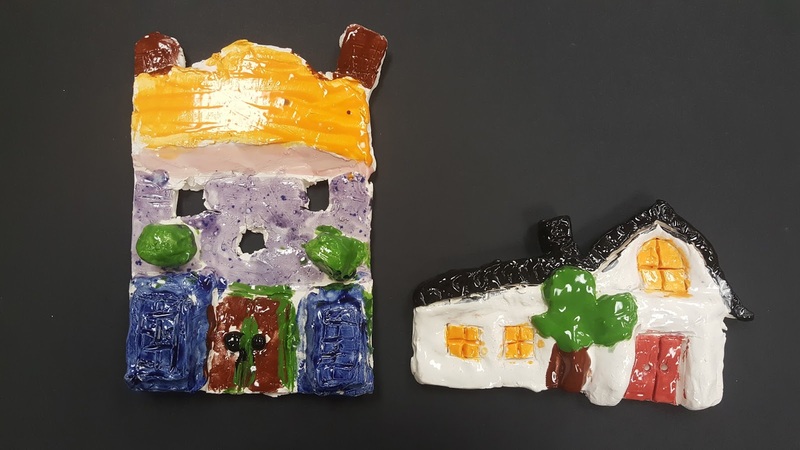 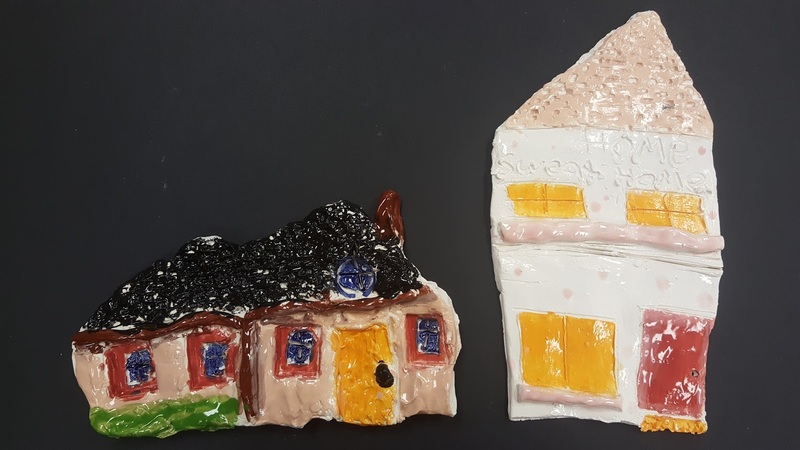 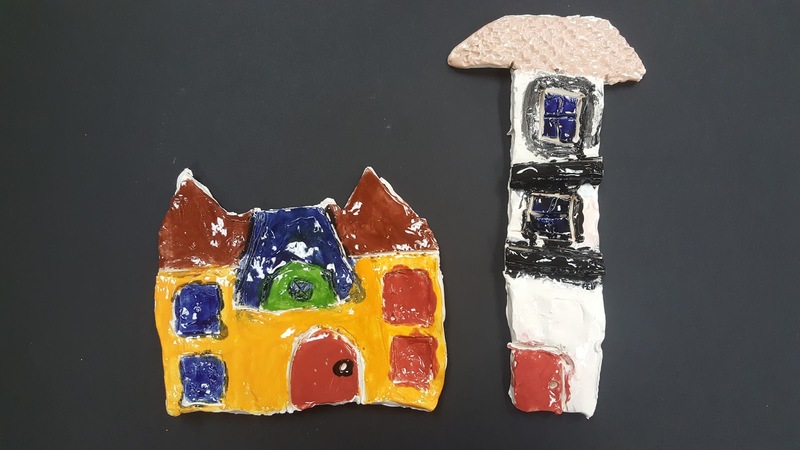 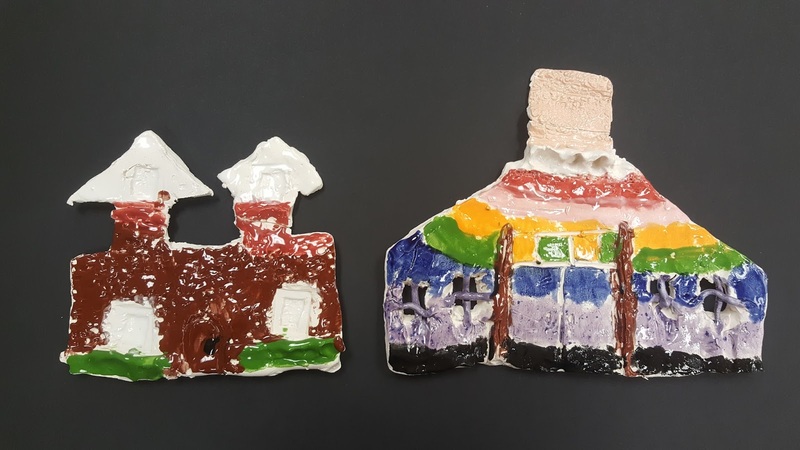 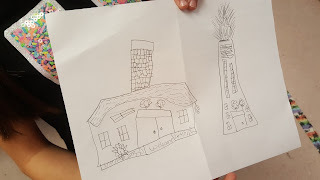 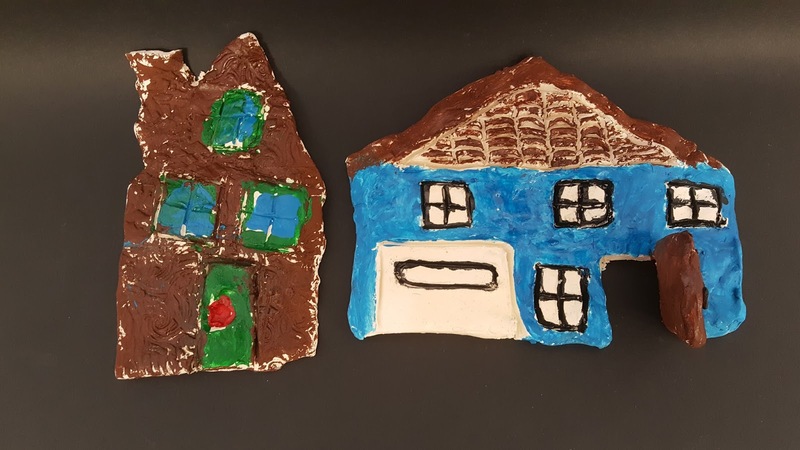 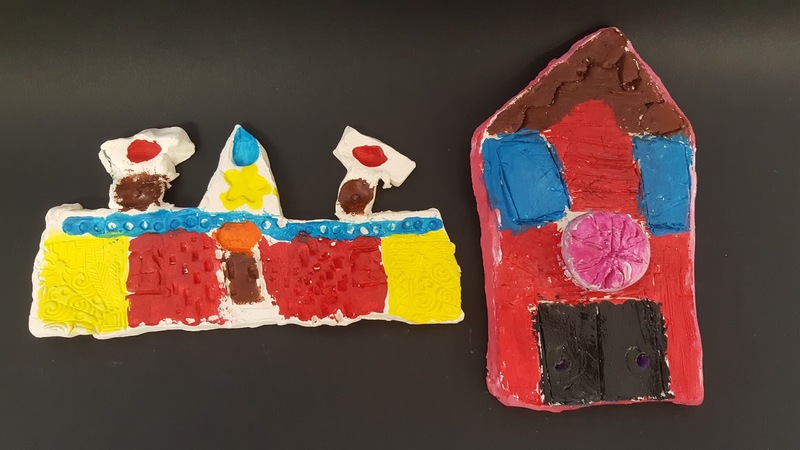 They chose any type of building (house, church, skyscraper, barn...) to create with clay. Each piece had to show me real texture, negative space, additive clay, and a coil. Some classes painted and some glazed their pieces. 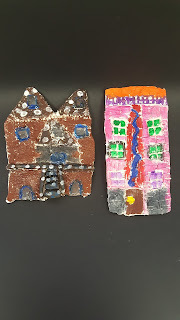 I think they did great!